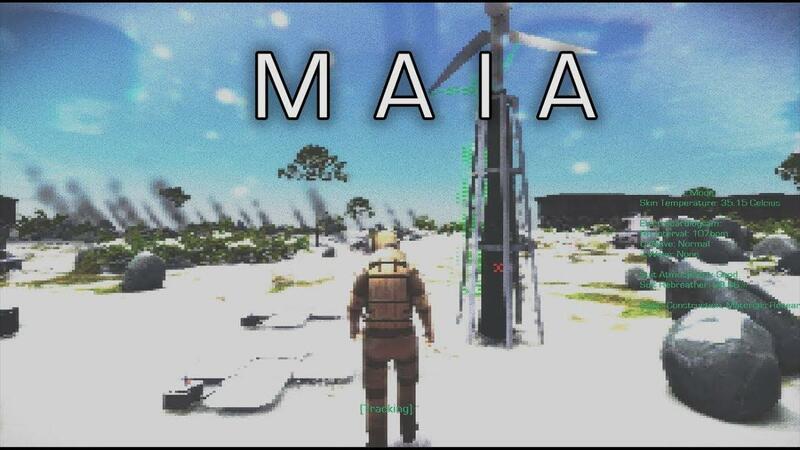 Maia [Official Site, Steam, itch.io] sure has come a long way since the initial releases, this colony sim is starting to shape up quite nicely now. It changes quite a lot, most notably is that the length of days has been made longer. This actually helps the game in more ways than I would have thought, as it feels like your colony is more productive which had been an issue before. There's also a lot of little things done with the simulation, like clicking objects actually giving feedback now. Clicking the Condenser will show water running, clicking a ration box will open it and show packs inside, clicking water barrels makes a sound and so on. It's small enhancements, but things like that really give the game a much more polished feel. It's fluff, but the kind of fluff I like to see. Your little robot friend, the IMP, became a lot more useful. 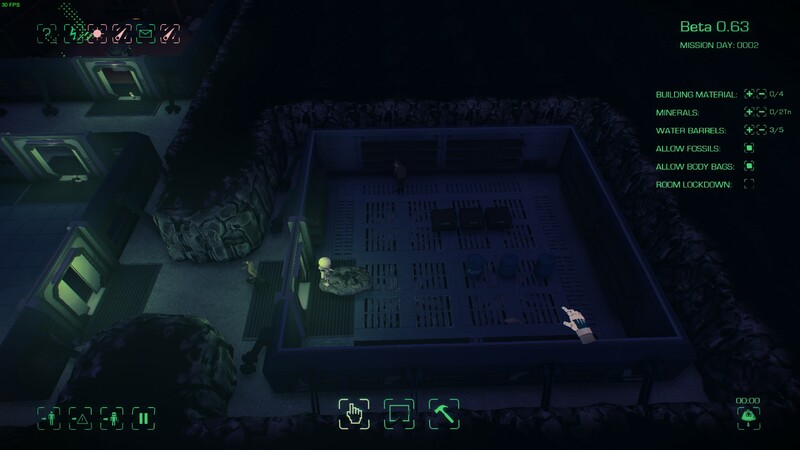 They will not only dig out the caves for you, but now they actually place minerals in the smelter. Not having enough resources should now be a thing of the past, since they are a little more helpful when your colonist are off being burnt alive by bloody lava. If you lose all your IMP robots, you will now get in-game mail to actually let you know. Need a pee break? There's a pause button now. I'm sure it annoyed someone not having one, but pressing ESC has worked fine for me. There's a lot more to it, including quite a lot of bug fixes and AI improvements. You can see the full changelog on the official site. One thing to note, is that on NVIDIA there's a driver bug that breaks some of the graphics. I had to switch to the 375 series, as noted by other users too. I had a little chuckle seeing the IMP kick a massive bit of rock through my base, zoomed in and realized it had found some fossilized remains — intriguing! I do have the one of the same complaints as always though, as I want to be able to zoom out more. I want a good look at my pretty awesome looking colony and I want to make some screenshots of it all, but the max zoom level is just too low right now. Also, I think a colonist and my IMP got stuck inside a wall somewhere. The camera would snap to them when I click the button, but they weren't there. A while later the game told me the one who was stuck in a wall died. It's Early Access, so issues like that are still to be expected. Hopefully the developer will nail it soon though, as that can break the game a little. The game is also on sale on both itch.io and Steam, with 44% off it's cheap! I'm always floored by just how damned hard Simon works on his game. Amazing stuff. I wonder if an "overview" function would be good; a toggle that zooms out to fit the full base in the window - as opposed to zooming all the way out. That video makes me look damn stupid... Guess it's just like ark... you die a lot. Then watch a few videos, then start over and do it good. Although I did not need to start over with ark. Still playing since 2015, except that my first bed is now in the cold snow biome and it was an almost insta kill. Being level 94 now I can visit my old habitat. Fun to see I tried plot farming, but I didn't know how. I'm not sure what to think about Maia. I bought it 3 times i think, refunded each, because the game feels empty quickly. I feel after 2-3 hours i've done everything that could be done. I didn't replay for a while, so maybe it has changed ?